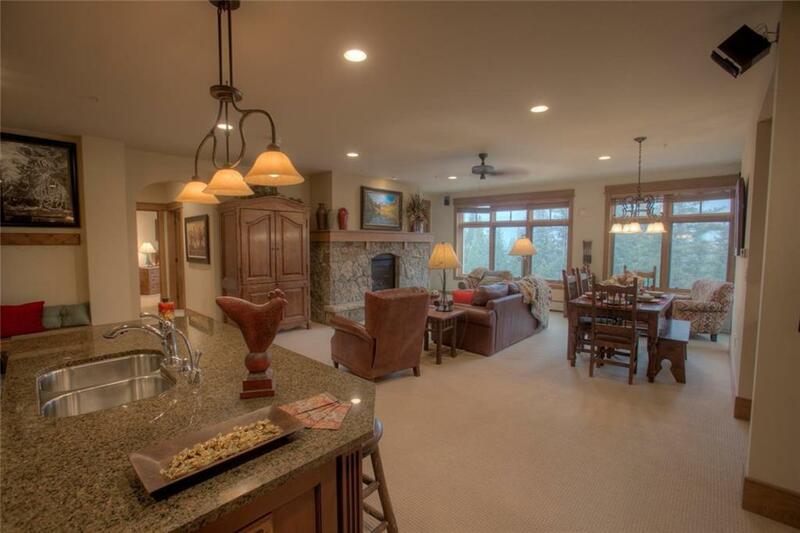 The best of luxury resort living, this upscale condo in prestigious Lone Eagle is right on the slope, ski in & out, granite counters, slate floors. Amenities galore; pool, hot tub, fitness, steam, fire ring. Sit on the huge deck (2 of them) overlooking the river & a few steps walk into River Run Village. Wonderfully furnished & equipped. Has not been in rental program. Put your car in underground parking & enjoy all Keystone Resort offers. See the photo tour link for even more photos.